This Do It Yourself (DIY) article describes trim clips used on a 2008 CBR1000RR Honda Fireblade motorcycle. Type 1 trim clips are released by pressing on the center with a pointy tool e.g. a tweezer or a 2 mm thick rod. When the pressure gets high enough, the center will snap approximately 2 mm down and the clip can be pulled/wriggled out of the hole. 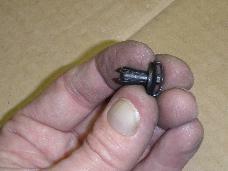 The image below shows the clip with the locking pin released, i.e. 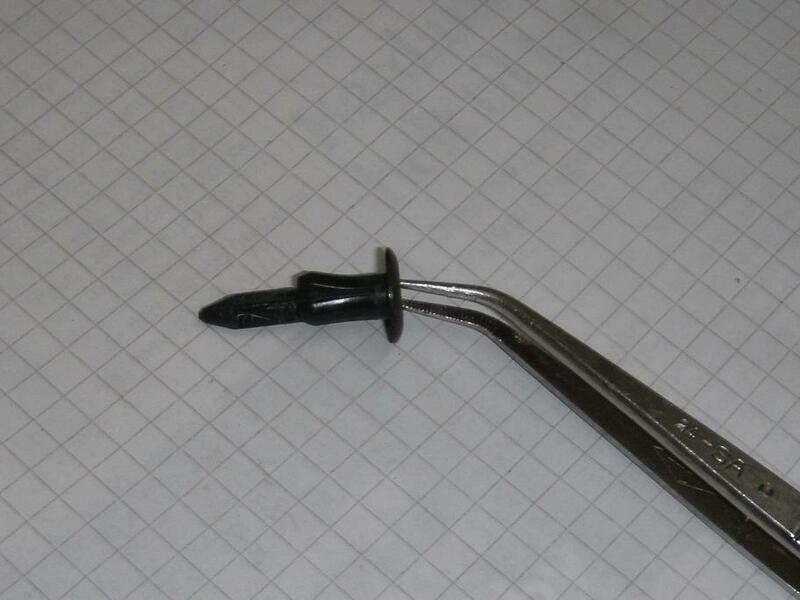 the pin has been pressed in with a pointy tool, so the clip could be removed from its mounting hole. To prepare the clip for mounting, simply push the locking pin back untill the end sticks 2 mm out from the clip head's front surface. To mount the trim clip, simply place it in the hole and press the locking pin with a finger tip, so it snaps into locked position where the locking pin is level with the head surface. Type 2 trim clips are released by pressing on the center with a pointy tool e.g. a tweezer or a 2 mm thick rod. When the pressure gets high enough, the center will snap approximately 2 mm down and the clip can be pulled/wriggled out of the hole. The left image below shows how to hold the clip in order to push the locking pin back out of the clips head. 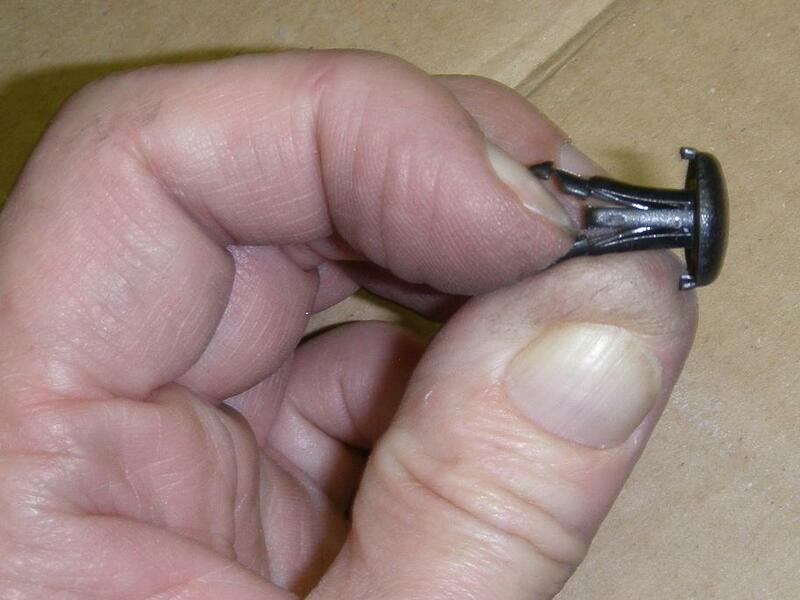 The right image shows the clip after the locking pin has been pushed back and the clip is ready for mounting again. Type 3 trim clips are released by unscrewing the locking screw with a 1x75 pozidrive screw driver untill it sticks some 5 mm out from the clip's head. While doing this, you may have to hold onto the clip head with e.g. 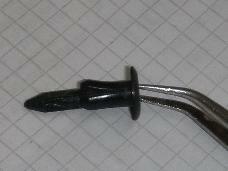 a tweezer to prevent the clip from turning. Then the clip can be pulled/wriggled out of the hole. 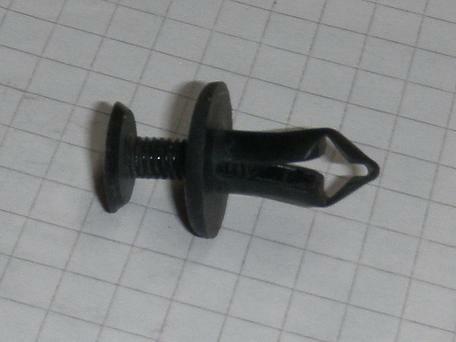 The image below shows the clip with the locking screw released. To mount the trim clip, simply place it in the hole and screw the locking pin in untill it reaches the head surface and just tighten it slighly.